UK Domains Names - BOGOF! 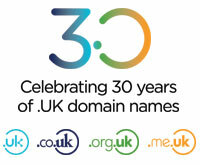 Until October 30th, to celebrate 30 years of UK domains, we have a BOGOF promotion in association with Nominet, the UK domain registrar. Simply add a .co.uk domain and another UK domain like the new .uk to your basket and the discount will be applied. Applies to new 1 & 2 year new registrations only. Both domains must be for the same time period. We are excited to announce that we have just taken delivery of some new Dell servers! Packed full of memory and fast enterprise drives; we will be upgrading a number of our Web and MS SQL database servers this autumn. If you are using either of these features we will be contacting you shortly to discuss migration. But don't worry we will be handling everything for you! 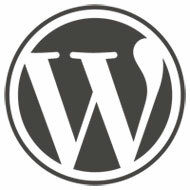 We have just added another migration article to our knowledge base on our dedicated WordPress demo site. It shows you how to move your website from WordPress.com to Nutty About Hosting and get 2 years hosting for less than the price of one year's hosting directly with WordPress! Get more from your email with Microsoft Exchange Email. With large mailboxes and powerful anti-spam and virus safe guards you can access your email seamlessly on your PC, Mac and smartphone. With shared calendars and free shared mailboxes you can allow your business to grow without communication restraints.